We just saw HSN vendor Andre Walker doing Oprah Winfrey’s hair, putting rollers in it, on a show on her just-launched channel: OWN: Oprah Winfrey Network. We’ve been peeking at the network throughout the day, and we are impressed. Its tone was inspirational, reflecting Winfrey’s belief that human nature is basically good. The program on now is a fly-on-the-wall chronicle about Winfrey’s popular daytime talk show, “Season 25: Oprah Behind the Scenes.” One of the interesting moments was hearing one of Winfrey’s gay producers complain about doing a show in West Virginia that focuses on people who are as anti-gay today as they were in 1987. During the day, after the noon launch, we enjoyed a profile of rap impresario, and Beyonce husband, Jay-Z, that was part of “Oprah Presents Master Class.” He came across as a smart, thoughtful, sensitive guy. One show about adopted people on the hunt for their real parents was very derivative: Cable network have done this before. Walker, by the way, is selling hair care products on HSN. Luxury fashion designer Reem Acra, another “designer to the stars” that we’ve never heard of, will be bringing a collection called Reem (original) to HSN this month. Here is Ms. Acra’s bio from HSN, for ignorant folk like us who are not up to speed on our fashion designers. Gaining international recognition for her atelier, Reem Acra has become one of the leading names in luxury ready to wear and bridal. With an insatiable desire for luxury, Reem Acra’s designs are carried in more that 150 of the most exclusive retailers in the world. Her signature boutique on Madison Avenue in New York City is a reflection of her eclectic sensibility, combining the exotic and romantic with the modern and elegant. Reem Acra’s designs are available internationally at leading department stores and specialty boutiques. These stores include Bergdorf Goodman and Saks Fifth Avenue in the United States as well as Saks Fifth Avenue and Harvey Nichols in the Middle East. Her designs are also available at top specialty retailers across the world: in Kuwait, Bahrain, Saudi Arabia, Turkey, Egypt, Lebanon, United Kingdom, Hong Kong, Singapore, Japan and Korea. Celebrated for her ability to match a look to a woman’s personality, Acra has dressed global icons of style for weddings, red carpet appearances and awards ceremonies. 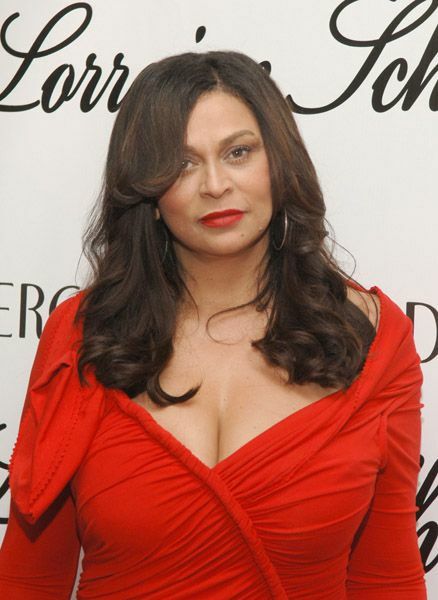 Her following includes Angelina Jolie, Halle Berry, Beyonce Knowles, Catherine Zeta-Jones and Eva Longoria as well as royal families around the world. Acra will show off “a capsule collection” during live segments Sept. 22 and 23 during the finale of HSN’s Fall Fashion Series Presented by ELLE. She is looking forward to engaging directly with fans of her designs. Items in the Reem collecton will range in price from $39 for a shawl to $299 for a sequin jacket, and the line will include tunics, dresses and jackets with jewelry embellishments. What took so long, HSN? 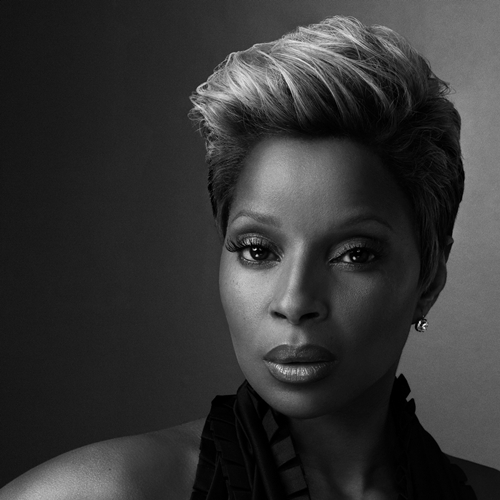 We were expecting this Mary J. Blige press release by Monday, at the latest. We watched some of her shows, and had heard that singer Blige shattered sales records Saturday with the debut of her new fragrance, My Life, exclusively on HSN. And by the way, why weren’t we among the bloggers invited to the launch — which we found about in the release? Was it too packed with the hundreds of home shopping bloggers that inhabit the cyber world? Thanks for stiffing us, Bill Brand. What happened? You didn’t like our Miss-Tina-is-gone blog, and wanted some payback? Or was it the ShopNBC-Had-The-Same-Ring-As-HSN blog that did it? Here’s the canned quote from Blige, who was humble, gorgeous, delightful and charming on the air. The launch of My Life helped support the Foundation of the Advancement of Women Now (FFAWN), a non-profit created by Blige and Chairman & and lead investor of Carol’s Daughter, Steve Stoute, to assist women in need. For every unit of My Life fragrance sold, HSN Cares, the corporate social responsibility arm of the home shopping network, will donate $1 to FFAWN. My Life, which was the first fragrance created by Ms. Blige and the first celebrity fragrance developed by beauty-lifestyle brand Carol’s Daughter, attracted nearly 20 percent new customers to HSN. In addition, as part of HSN’s continuity program, almost 10,000 customers signed up to receive shipments of the new fragrance on a regular basis. Carol’s Daughter, a partner of HSN over the last two years, has had success in telling its universally appealing story, about the creation of the beauty products in a home kitchen. Given this success, Stoute and Blige committed to bring their story to HSN. My Life was introduced to consumers via the most comprehensive, 360-degree marketing campaign in HSN’s history, including television, online, mobile, print advertising, public relations, events and direct mail. Social media efforts drove millions of impressions, key celebrity endorsements, and involved a blogger press trip to HSN headquarters to document the launch. That’s the part where we were stiffed. Video segments of Blige’s life story were featured on HSN and online at http://www.HSN.com, as well as Facebook and Twitter. In addition, HSN distributed 100,000 direct mail brochures and 300,000 targeted inserts to its customers; featured ads in Allure, Glamour and Essence; created a cross-channel spot; and distributed 50,000 snap bracelets embedded with the My Life fragrance at the Essence Music Festival.